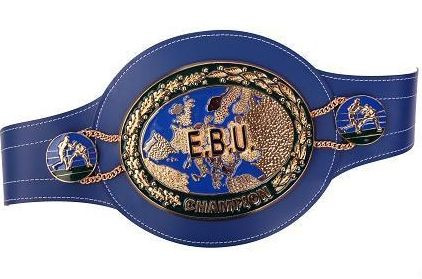 OPI 2000 won today purse bids for EBU superfeather champ Devis Boschiero´s mandatory defence against Frenchman Guillaume Frenois. OPI 2000, headed by Salvatore Cherchi, put in a bid for 57,177,00 Euro. Europrom, headed by French promoter Gerard Teysseron offered 53,330,00, Euro while Boxing Club de Saint Quentin bid 45,000,00 Euro. Date and site for the fight will be announced shortly. EBU jr middle champ Sergey Rabchenko, 23-0, now have Spanish veteran Ruben Varon, 41-6, as mandatory challenger. There will be purse bids July 2 in Rome. Rabchenko first had Italian Emmanuele Della Rosa as mandatory challenger but he pulled out. Varon will tune up July 13 in Alcala de Henares against Romanian Vasile Surcica. EBU flyweight champ Silvio Olteanu, 14-6-1, is now mandatory challenger for IBF champ South African Moruti Mthalane, 29-2. IBF have set July 5 as date for purse bids. Rimer Boxe, headed by Richard Sanchez Atocha, hopes to get the fight to Spain. Olteanu´s record only shows that is not the numbers that count but who you have been in with that matters.